Honey is a natural source of many substances essential for the normal functioning of the human body. But keep in mind that the content of biologically active components is so great that excessive use may cause harm, for example, can cause allergies. Necessary and sufficient dosage is determined individually. In the honey contains a large number of glucose and fructose, so it is the source of vital energy, helps quickly regain strength after illness or after heavy physical work. Honey with regular use improves the blood, so it is recommended to patients with anemia. With warm milk or tea it has a calming effect on the nervous system, and those suffering from insomnia, it is recommended to drink these drinks before bedtime. 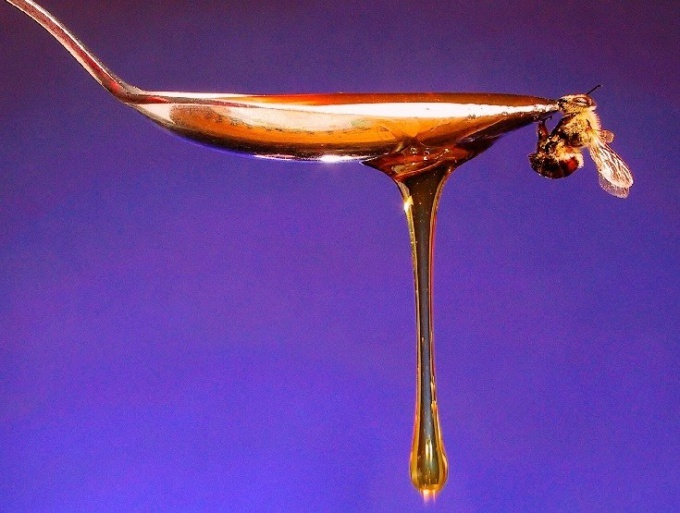 Honey contain antibiotic substances, so it does not deteriorate even during long-term storage. Honey cannot be given to children under 3 years because they still find it hard to digest, and besides, honey is a strong allergen. The nutrients contained in honey is very sensitive to temperature, so heat it above 40 ° C, if you use it as a medicine, it is impossible. Do not put honey in hot tea, it can only drink warm drinks. Nutritionists and the physician does not recommend eating honey with any other food, even with bread. If you are looking to use its useful properties, eat honey 2 hours before or after the main meal. Honey you need to eat even a healthy person, it strengthens the immune system and the prevention of infectious diseases. Honey has anti-tumor and sedative properties. An adult is usually enough to eat 50-70 ml of honey every day for General good health, it's just 10 to 14 teaspoons. But the dosage should be determined in each case taking into account individual performance. If you don't like sugar, but your work involves heavy physical exertion, the dosage can be increased for those who lead a sedentary lifestyle, it is possible to reduce. It is best to eat honey several times a day, dividing the daily rate by a few techniques. If you want to lose weight, start your morning 30 minutes before Breakfast drink a glass of water, which added a tea boat of honey and lemon. During the day, drink warm tea, adding ginger and honey. Ginger, as ergotropic product, speed up the metabolism. In one teaspoon of honey contains about 30 calories, if you completely abandoned sugar, it is better not to use harmful sweeteners, and to eat 180-300 calories this natural product from which your health will only benefit. Not to gain too much weight, not eat more than the stipulated daily requirement of calories.